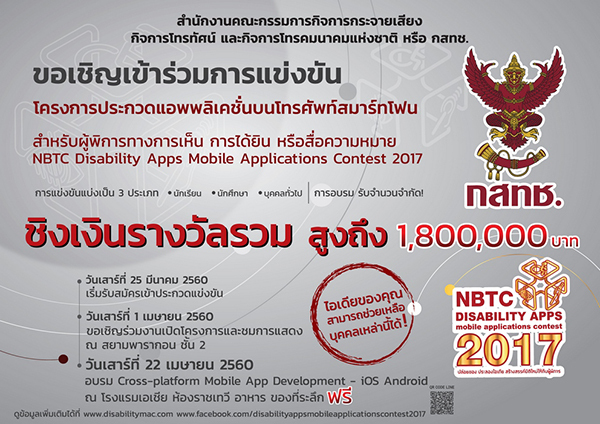 The Office of the National Broadcasting and Telecommunications Commission (NBTC) is hosting a contest for the development of accessible mobile applications to assist people with physical disabilities. 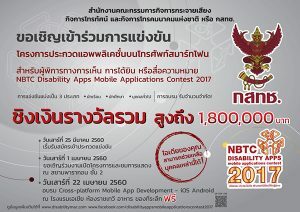 The NBTC has organized a training session for mobile app developers looking to enter the contest. 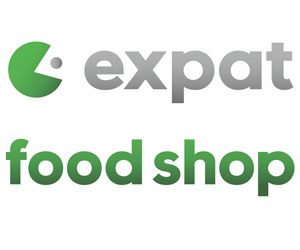 To qualify, applications must be designed specifically for persons with hearing or visual impairments. According to the NBTC, more than 100,000 people with hearing and visual disabilities are currently using applications on their smartphones, hence the need for more accessible applications that cater to their everyday needs. 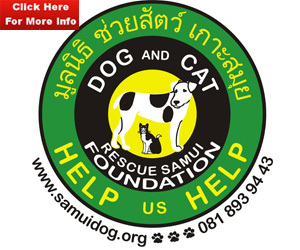 Applications will be accepted until May 6th and the results will be announced on June 13th. 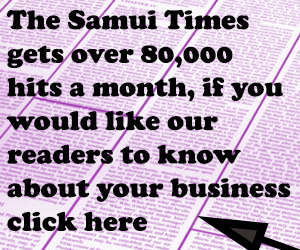 The winner will receive 300,000 baht in prize money.